We LOVE a good special. 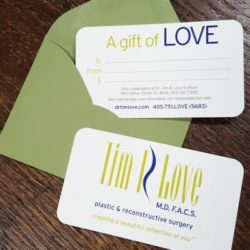 Check here often for great plastic surgery, medical spa and hair transplant offers from Dr. Tim Love. Use the contact form below to contact us about our latest special or call us at 405 751-LOVE(5683). 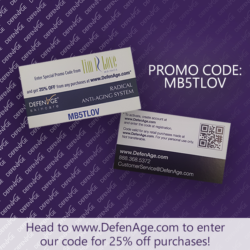 Receive 25% off your Defenage products with our special code! If you LOVE discounts and amazing skincare, this deal is for you. The Code at check out is MB5TLOV. Don't miss this everyday Xeomin offer of $10/unit! Back by popular demand, Terrific Tuesdays! 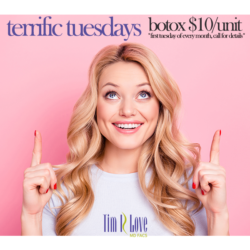 The first Tuesday of every month, you can get Botox for only $10 a unit! Call us for details and disclaimers! Get $100 BOTOX Cosmetic Gift Voucher for only $75! Contact us today to learn more! The gift of LOVE ... perfect for any occasion all year long and may be used for any product or service .. and never expires! *Gift certificates are non-transferable, non-refundable and are not redeemable for cash. The entire balance must be spent at Dr. Tim Love's office.